The “Land of God’ is full of natural attributes there are so many destinations which provides different experiences like wildlife, Sancturay, Hill stations, Lakes, sceninc mountain ranges some of them remain snow caped for round the year. This 5 days short trip to Corbett and Nainital provides you the glimpses of both Wildlife and Hill Stations of Uttarakhand. Nainital and Corbett both have good numbers of accommodation raning from 5 star luxury to budget with the best of local hosptality together you can have the experience of adventurous, calm and rejuvenating. 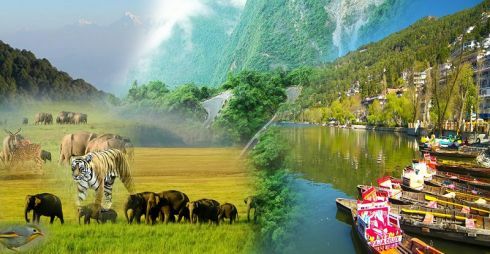 There are many activities which you can explore in Corbett and Nainital like boating, Short Soft trekking, bird watching, Rope way and just relaxing watching the nature beauty. In corbett you can take Tiger Safari by Jeep or ride a Elephant and explore the jungle, Bon Fire, Live music and dances, Nature Walk, Garjia Temple visit, Rock Climbing, River crossing, Wildlife movies watching or creating whole lot of fun by yourself. Upon arrival at the Ramnagar Railway station in the late evening you will be assisted and transferred to Corbett Resort. Dinner and overnight at hotel. An early morning after snacks and tea/coffee visit to park have wonderful safari either by Elephant or Jeep Safari. Lat0er return to the hotel have sumptuous breakfast. 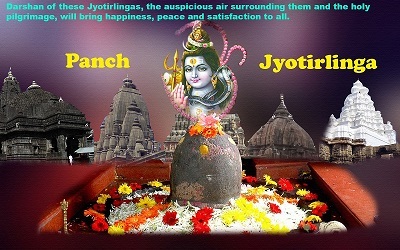 Optional 2nd round of Jungle safari or proceed for sightseeing of Garjia Temple. Evening nature walk. Dinner and overnight at hotel. Morning after breakfast check out and leave for The Milieu Camp- A Birding Paradise upon arrival free time to relax amidst the nature relax or simply spends your quality times watching birds, take the nature trails, check your photography skills. Lunch and dinner at the camp. Overnight at camp. After breakfast leave for Nainital. Upon arrival hotel check in. Upon arrival hotel check in after freshen up proceed for boating at the Lake & walk on the mall and also you can take the rope way till Snow point. Return to the hotel dinner and overnight at Hotel. After breakfast explore in and around Nainital visit to Bhimtal, Naukuchiatal, Sattal. Also worth visit is Govind Ballabh Pant high Altitude Zoo where you will find the habitants of high altitude mountains. Later free time for shopping and leisure activities. Dinner and overnight at Hotel. After breakfast and some leisure time transfer to the Kathgodam Rly station for onward journey. • Accommodation on twin/double sharing basis. • Buffet/Fixed Menu Breakfast and Dinner. • Permits are necessary for entering the Corbett Tiger Reserve so please enter the park only after getting the permit. • Tourists are requires to carry a litter bag while entering the park any bring back their non-biodegradable garbage like plastic, bottle, metal foils, tin can etc. Outside the park. • Get official registered Nature's guide that will help you in spotting wildlife and ensuring that you do not lose your way in the forest. • Wild animals are the actual asset of the park, respect and maintain a safe distance from them. • Listen to the melodious music of the forest instead of your stereo. • It is advisable to wear the clothes of colours which merge with the natural surroundings like khaki, olive green and some other dull colours. • Please switch off lights, fans and water taps when not in use. • It is compulsory to obtain clearance certificate before leaving your place of residence within the Tiger Reserve. • Maximum two adults and two children (below 12 years) per room is allowed to stay in the tourist zone, so arrange your excursion as per the availability of rooms. • Do not carry any kind of firearms within the Tiger Reserve, it is strictly prohibited. • Smoking and lighting any king of fire is strictly prohibited within the Tiger Reserve. • Driving after the sunset is strictly prohibited inside the reserve. • Cooking is not allowed inside the National Park. • Playing any kind of music inside the national park is banned. • Do not take your vehicles off the designated routes thereby causing damage to plant or animal. • Do not blow horns and driving above the speed limit is strictly prohibited. • Take care of zones as entry in to the restricted zone by visitors is prohibited. • Shouting, teasing or attempt to feed animals are prohibited and will invite severe penalties. • Non vegetarian food is strictly prohibited within the Corbett Tiger Reserve. • Your permit to the National Park is non transferable so do not try any kind of unfair means.